Feature dashing in this Perky Printed Art Silk Short Tunic Top for Fashionable Women from Snehal Creations. This round neck tunic is a perfect option to be worn with a pair of jeans. Long sleeves work beautifully with the design if the tunic and come with taping at the edges. 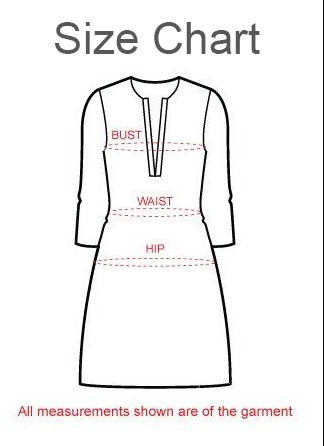 Taping is also aligned with the gala patti of this tunic.